Hello again, this is my second post of the day! As I'm feeling much better, I thought I'd better catch up on this weeks Little Red Wagon post. My card has been sitting there patiently staring at me for the last couple of days so I guess it's time to reveal! Pretty simple here really as the Silhouette did most of the cutting work for me. I used up some leftover scraps of Echo Park papers, then added a few stickers, bling and ribbon to finish things off. 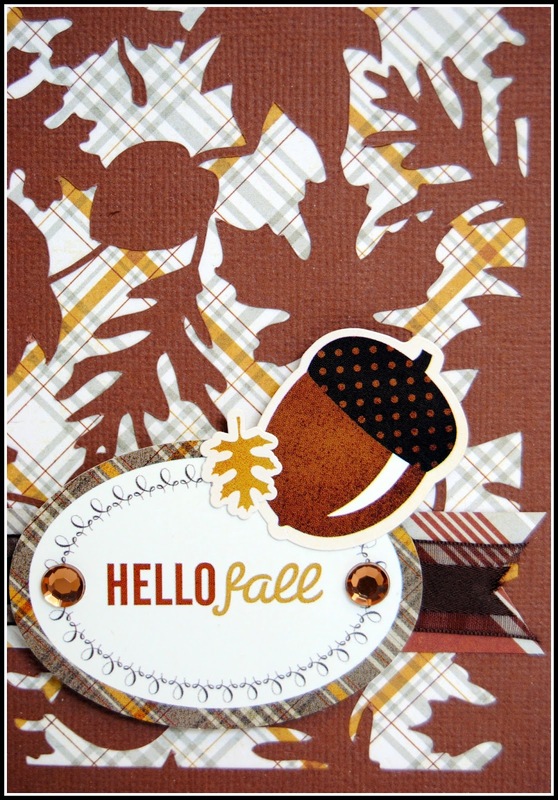 Why not join in with our 'Fall' challenge this week.....we have moved into the season after all! Just remember to link up over at the Little Red Wagon blog, and don't forget to check out some inspiring projects from the rest of the Girlfriends too. I'm off to finish packing for a 12 hour crop tomorrow which means I should have a few more projects for posting at the end of it! 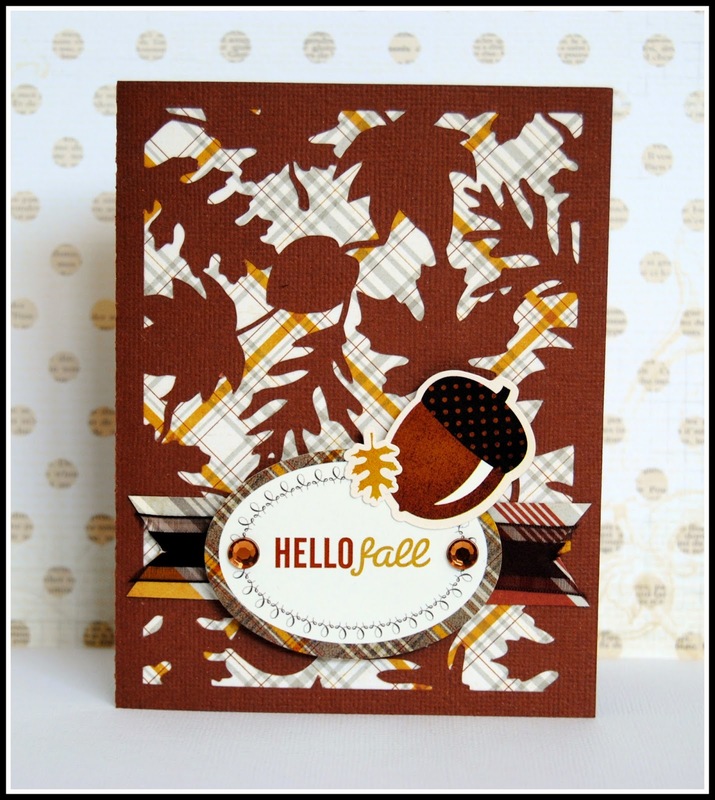 Great fall card Jayne. I love the Silhouette cut you used. Awesome card, Jayne! Very fall-y. Awesome. I love acorns. Glad to hear you are feeling better too.